September 25, 2013 | Meagan Miller & filed under Uncategorized. 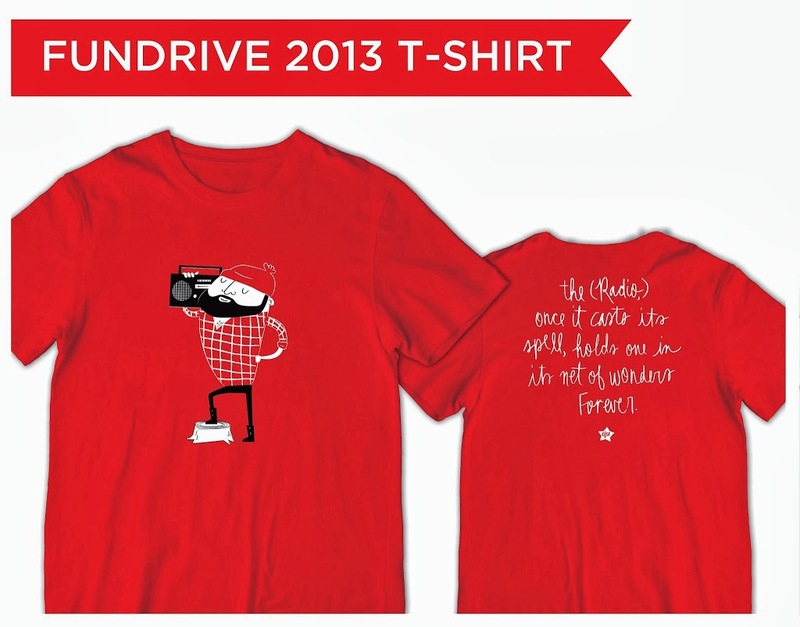 Our annual 2013 Funding Drive has arrived! It’s only happens 10 days long, and we promise that it will be fun! Yeah? Well let’s start packing our rucksacks! First on the list: the basics. As Edmonton’s only volunteer-powered, listener-supported, campus based, community radio station, CJSR depends on the financial support of our listeners so that we can continue to broadcast diverse musical and spoken word programming that challenges the status quo. That’s where FunDrive comes in; A listener pledge made during this year’s FunDrive literally keeps us on the air for the next year. So if you’d like to donate to your favourite neighbourhood CJSR by clicking on the banner at the top of this page, or calling (780) 492-2577 ext 0. Next up! Great clothes! CJSR’s got you covered on this one! Just like last year (and the year before that, and the year before that) if you make a pledge to CJSR during this year’s FunDrive, we’re going to show our appreciation. 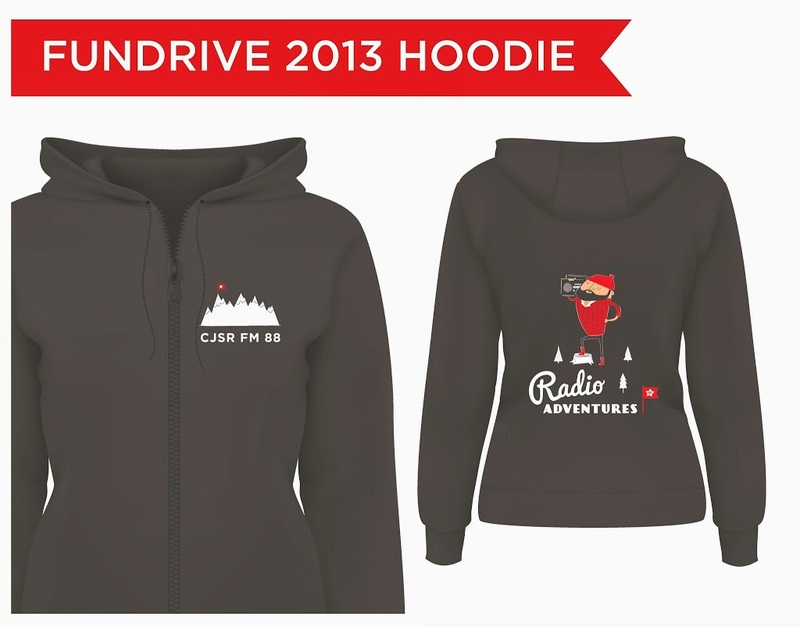 This year, depending on how much you pledge, we’re going to hook you up with a T-Shirt, and Hoodie exclusively designed for CJSR by Edmonton’s Mount Pioneer Design Works. Check it out! What if you get thirsty? Oh yeah! Mount Pioneer Design Works also designed us a water canteen with the famous CJSR proudly displayed on the front! How about some tunes for the trip? Yup! We’ll provide that too! This year we asked 13 local musical groups to our studios record a track for our FunDrive Compilation. We’re thrilled with the results. The CD compilation is titled ‘Adventures in the Wild.’ We want you to listen to it! Here are the details on how much you need to pledge to fill your rucksack with all this great stuff! $480 – Star Card, Digital Download Card, CD Compilation, T-Shirt and the Canteen and the Hoodie. Want more adventures? Everybody who makes a pledge during FunDrive is also entered into the GRAND PRIZE draw. What is the grand prize? Well, in keeping with this year’s theme, the City of Edmonton graciously invites you to enjoy an urban adventure in their playground. The grand prize package includes family passes to the Edmonton Valley Zoo, Fort Edmonton Park, John Janzen Nature Center, the Muttart Conservatory, and a family admission to a City of Edmonton Sport & Fitness Center! As a final note about SWAG: While you’ll be able to pick up your Star Card at the station anytime after you make your pledge, you’ll have to be patient to get everything else. But in return for your patience, CJSR will be throwing a SWAG party at Expressionz Cafe in November! 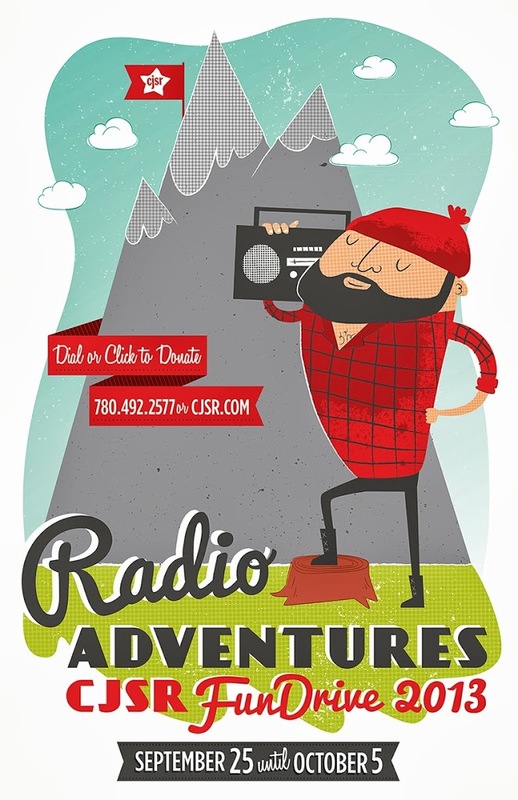 If you have any other questions about this year’s FunDrive, please don’t hesitate to hike over here to the studios of CJSR to ask a friendly station ranger. Too tired after coming on this radio adventure? Just give us a call at 780-492-2577 or email us at staff@cjsr.com.